104 North Big Horn Ave. It is the Mission of the Moorcroft Police Department to make the Town of Moorcroft a safe place to live, work, play, learn, and visit. The Moorcroft Police Department will do this by establishing trust in the community and vigorously enforce crime, and pursue offenders. The Police Department will strive to adhere to the highest standards of integrity and responsibility. We do this in return for the tax dollars with which we are entrusted by the members of the community. The Moorcroft Police Department consists of 3 Officers and one Clerk serving the Moorcroft Community of approx. 1009 citizens. It was established in 1906 when the Town of Moorcroft was incorporated. Today the Police Department features a force capable of handling all facets of Law Enforcement for the Town. 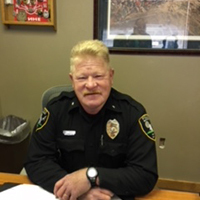 Moorcroft Police Department is a "Community Policing" oriented department, featuring a Bike patrol in the summer, house watches, and many other features that are common in big city departments. 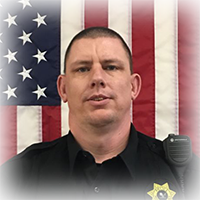 The Police Department is dispatched out of the Crook County Sheriff's Office in Sundance, Wyoming, and works closely with the Sheriff's Office, the Wyoming Highway Patrol, Game and Fish, and other agencies in Weston, Crook, and Campbell Counties. The Police Department is available 24 hrs through the Dispatch Center, and its Adminstration is open Monday - Friday, 8 am to 5 pm. Moorcroft Police Dept. has teletype and 911 Capability, as well as fax and email. The Moorcroft Police Department is not accepting applications for a police officer at this time. Click here to view Jesse's bio. 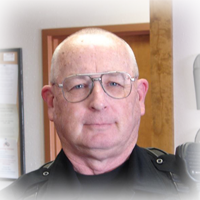 Jesse has been with the Police Department, and the Town of Moorcroft since May 2005. 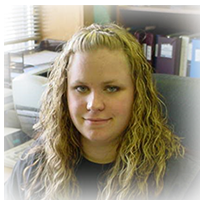 She is the Secretary/Clerk for the Police Department and is also the Clerk for the Municipal Court. She is responsbile for keeping the office running smoothly. Her invaluable service helps keep the Department up and running on a day-to-day schedule. From entering citations to typing reports, Jesse's job is never-ending. Jesse is also the one to see about Dog/Cat licenses, and takes care of all department paperwork. She is a wealth of information and is usually the first person you meet when coming or calling the Police Department. Jesse has lived in Moorcroft many years. She graduated from Moorcroft Jr/Sr High School in 2001. She took some college classes at Gillette Campus for a semester before getting married in 2002. Jesse lives in Moorcroft with her husband Toby, sons Dane and Paxton, along with her dogs and cat. 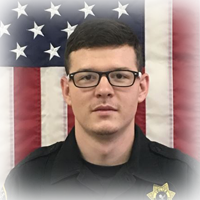 Before coming to work for the Police Dept., Jesse worked at Pinnacle Bank for a 1 1/2 years, and at Diehl's Supermarket for 4 1/2 years before that. CodeRED: Click here for the PDF.